Bad Brya saw the light of life Aug. 31st 1982 in Amsterdam. Bad Brya began writing at the age of 14 after hearing all sorts of Hip hop which her older brother listened to. She got intrigued by the way rappers were putting their message out there in the world. Inspired by several artists such as Tupac Shakur, Bob Marley,BoneThugs ans Harmony. 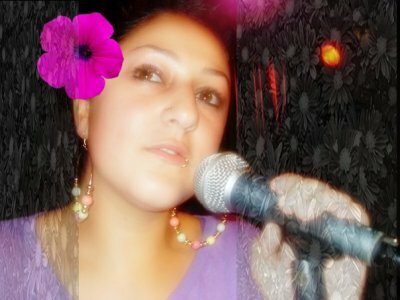 Besides Hip hop she also got influenced by other styles like Moroccan traditional music, Reggae, Arabic and loads more. You'll find Bad Brya scribbling at any giving time and place, inseparable from her pen and pad. Through the years she kept flowing and evolving into the Bad Brya we know today. She started her career appearing on the Most Wanted project and also performed many nights at the famous Winston's Kingdom in Amsterdam. Here she quickly got noticed and became known in the Dutch Hip Hop scene. This Moroccan female Mc Bad Brya left a great impression wherever she performed due to her unique style, sublime charisma and uplifting way of taking you over before you know it. She shares in her music her life story, her positive energy and her love for music. After a few years of intensive performing on Europe's bigger stages as Paradiso,Melkweg, Rich Mix and many more, the Dutch network NCRV made a special documentary about Bad Brya called: R-E-S-P-E-C-T. The documentary shows her musical accomplishments as well as her personal struggles which made her into the person she is today, always looking for ways to switch the negative things into something positive. Bad Brya's unique way of making music has touched young and old, rich and poor and made sure her fan base exists of way more than just hip hop heads. Which shows in the variety of shows and festivals she has performed on. From performing for members of the Dutch parliament to rocking the stage on the Muslim Women Music Makers tour in the UK/Denmark. Since 2005 Bad Brya has been performing Morocco on numerous festivals such as Mawazine together with the band Kasba, Ouad Laou festival and Mohammedia festival together with OneVoiZ, where she shared the stage with great names as Nass el Ghiwan, Said Mosker and many more. She has performed in Morocco's biggest cities making a name for herself in a time that Hip Hop was still rare in Morocco. After touring Europe, Asia and Africa in 2006, Bad Brya finally released her debut album Voice Mail in 2007. This album supported by Mama cash, Controverse Music and Hope box was directly followed by the Voice Mail Tour playing in the Netherlands, UK, Germany, Belgium, Georgia, Vietnam, USA, Aruba and of course Morocco. Bad Brya's first video clip of the track "On my way" directly became number 1 and stayed in the top 10 charts of Morocco for a year straight. As Morocco's first female MC to ever release a single she has captured the hearts of the Moroccan people who are now anxiously waiting to hear more from her. 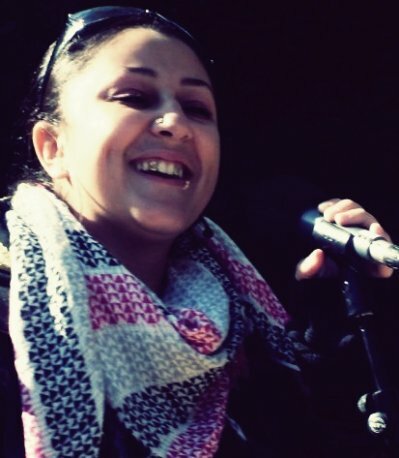 And therefore, after appearing on OneVoiZ's album "Weld el Blad" on two songs called "Wlad el Blad" and"El Ghorba", Bad Brya is now finishing up her album "El Brya", an album especially for Morocco, mixing her English flows with Moroccan Darizja. "El Brya" is already highly anticipated and is scheduled for release December 2009. Her first single off the album "3alam" will shortly hit the radio waves. She also co-stars in Ellie Jokar's hit single "Didi" out now in Egypt, where the song is played on the famous tv stations Melody TV and Mazika. August 2009 BBC2 broadcasted an exclusive documentary about Bad Brya. In this documentary BBC followed Bad Brya for a week while performing, rehearsing and also behind the scenes in her personal life. Bad Brya, Morocco's leading female MC, hopes to keep on spreading her message through her music and will certainly not stop to amaze us in 2010!